We had a Memorial Day parade today where they honored those who passed away in the military, and the Cub Scouts were also in the parade on a float. Afterwards, we invited a friend and her two kids over for a cookout. What is your favorite food to cookout in the spring / summer? My absolute favorite time of the year is when the weather is nice enough and we can finally grill and have friends over for cookouts and let the kids play in our backyard on the playground that my husband built / is still building more onto as he has the time to. Today, we cooked out and man did we have some good foods to eat and fruits too! Fruit Salad - Mix strawberries cut up, blueberries, raspberries, and blackberries in a bowl! Cookout Foods: Steak, hot dogs, bacon/cheddar sausages, chicken, and steak tips with onions and steak fries, with some A1 steak sauce mixed into it for flavor. We are kind of lame when it comes to cookouts. We usually just do burgers and dogs - with sides of potato and pasta salad! Yes. This looks like a great roundup for a cookout. We just had one with burgers and dogs, what a classic. That fruit salad looks tasty. My family had a cookout tonight for Memorial Day. 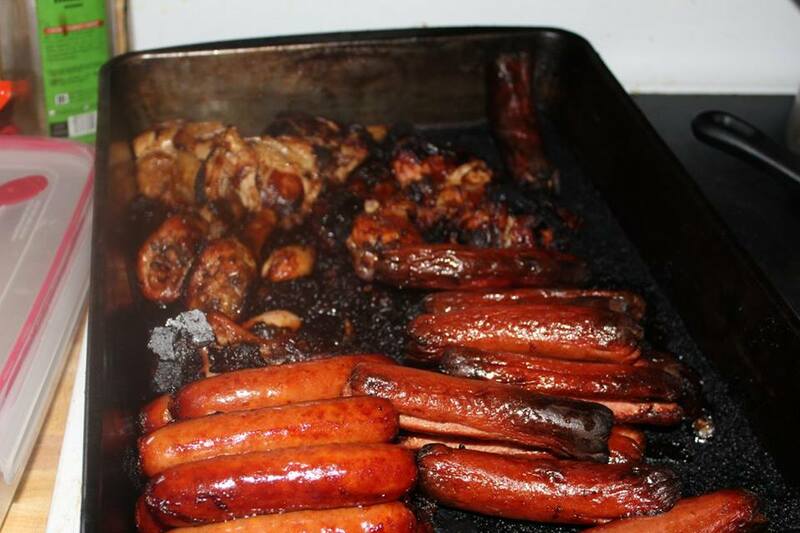 I am a fan of hot dogs with various sides. I love cookouts, especially in the summer. I make my hubby sweat around the grill all day while I make the salads and take care of the drinks. We have all sorts of meat, but my favorite is pork. Spring is definitely the perfect time for hosting cookouts. My husband is the grill master in our home and he loves making different types of meats on the grill. My favorite cookout food is grilled baby back ribs, smothered in yummy homemade BBQ sauce! Grilled hotdogs and corn, bacon wrapped burgers and jalapeños! OMG, you made me hungry thinking about all these food! 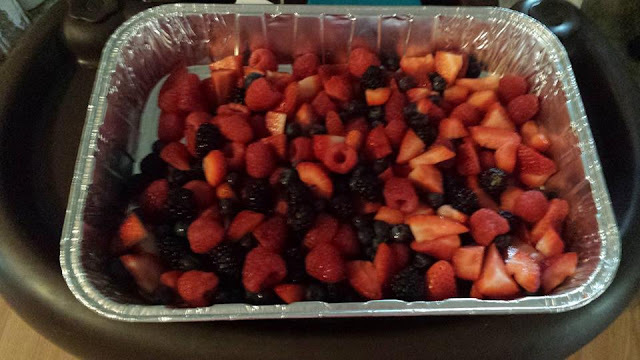 We always do fruit salads with cookouts. Its such an easy dish to add and everyone loves fruit. Plus its good to snack on! Ironic, we were just shopping for a new grill last night! It certainly is that time of year! Yum! This all looks wonderful. We grill a lot, but usually the same things! The fruit salad adds a nice touch here. The grilled chicken looks yummy! We love to grill and summer is the perfect time to bring out our BBQ pit. We like to grill sweet corn, veggies, seafood and poultry. Spring and summer is definitely the time for grill outs. We haven't grilled out much this season but I am hoping soon we will be able too. We enjoy a lot of cookouts. Hubby is the cook and I prepare the side dishes. We've been using our BBQ a lot in the last few days. Saves on electric and it's a fun way to have lunch as a family. I like rope sausage, especially wrapped in a tortilla.